This article is a comment upon the current state of Corporate Social Responsibility in India. 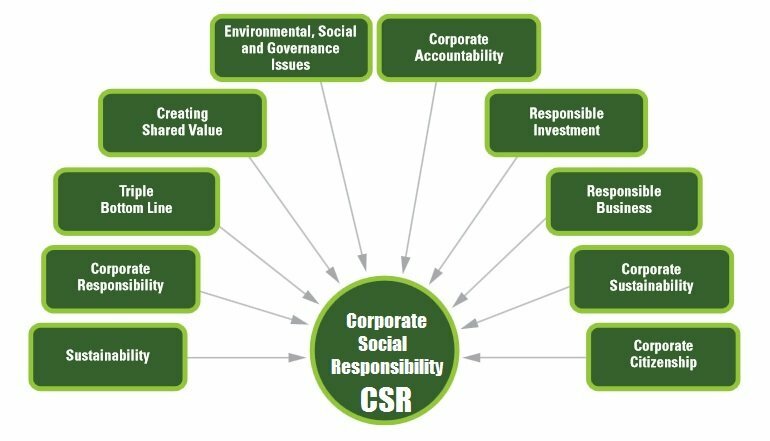 It begins with explaining what CSR is, why it is necessary for any business firm, and what all the concept entails. It then goes on to elucidate the provisions of the Companies Act, which make CSR mandatory for several companies, and analyses the impact this can have on the CSR scene in India Inc. and the business environment. Each individual living in society has certain obligations towards it. This is particularly relevant in cases of companies, which are considered to be ‘artificial persons’ in the eyes of law. Any business organization must aim at operating in ways that help it to fulfill the expectations of society. 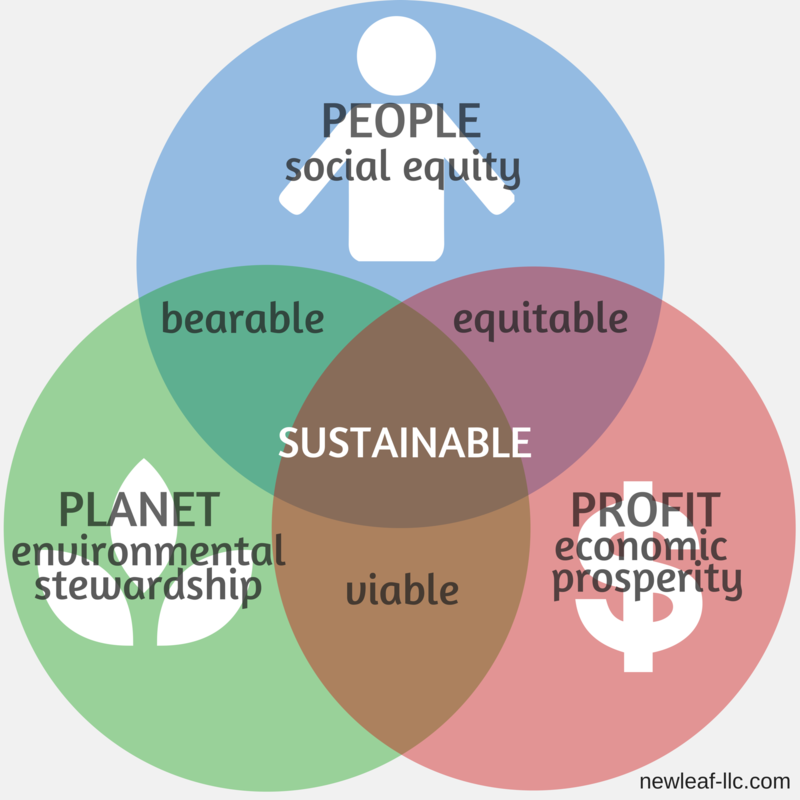 An enterprise is permitted by society to carry out its economic activities and earn profits, but it should also refrain from activities that are undesirable from a society’s perspective, under what is called a Triple Bottom Line (TBL) approach. Having noted that, Corporate Social Responsibility (CSR) can be said to mean the achievement of commercial success in ways that honor ethics and respect people, communities, and the environment. It also involves addressing several legal, ethical, and commercial expectations that society has from corporates, whose decisions should aim to balance the claims of all those groups which have an interest in the life of the body corporate. Therefore, by upholding the norms of socially responsible and ethically upright behaviour, a business serves its own good by ensuring its durable success in this manner. 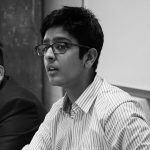 To what extent is a corporate socially responsible? Writers such as Carroll Archie have tried to categorically divide CSR into responsibilities across economic, legal, ethical, and philanthropic lines. Over the years, the latter two categories, which involve the significant exercise of discretion on part of the corporate, have occupied a significant place in the concept of CSR. The other two, on the other hand, continue to remain driven by certain compulsions (making them necessary for either earning profits or avoiding regulation). Changing ethics (and the responsibilities derived thereunder) precede the establishment of law because their changing nature becomes the driving force behind these regulations. For instance, the ideas behind the environment, civil and consumer rights movements reflected basic shifts in values held dear by society, eventually resulting in their ethical demands going on to become the foundations of future legislation. Philanthropic responsibilities involve an active role played by a corporate in engaging in such initiatives that promote the general welfare and human goodwill. Even though communities might expect firms to contribute their resources towards humanitarian programmes, these firms per se are not regarded as unethical if the desired levels of such efforts are not reached. It is necessary to make such a distinction because certain firms believe in fulfilling their social responsibility just by being good citizens in the community. It also leads us to hold that CSR can involve philanthropic contributions, but is certainly not limited to just them. The several stakeholders in a corporate’s life have different expectations from its operations. CSR can, therefore, be said to be the extent to which a firm can go ahead and arrive at a situation where the satisfaction of all such claims is fairly balanced. Anything that the firm does towards achieving this state of equilibrium is what it is required to do as part of its social responsibility. Net profit exceeding ₹5 crore or more. The Board of Directors would then be required to constitute a Corporate Social Responsibility Committee to enforce its CSR mandate. This committee shall comprise of three or more directors (one of whom should be an independent director). The functions of this committee include the creation of an elaborate policy to implement its legally mandated CSR activities; these activities must conform to Schedule VII of the Act. In addition, it would recommend the expenditure required for different CSR purposes. The Board is required to monitor the utilization of the company’s average net profit from time to time such that at least two percent of the same is spent every financial year, in pursuance of its CSR policy. It is also made clear that in case of its failure to spend this amount on CSR activities, the Board would be required to specify the reasons for not spending the amount in its report under section 134(3)(o) of the Act. Under the 2014 Companies (Corporate Social Responsibility) Rules, companies are free to conduct these activities through the establishment of a registered trust or a society, or through its subsidiaries or collaborations with other companies. Even outsourcing has been permitted as a way of fulfilling this responsibility. It is worth noting that individual acts of personal charity, events being strictly ‘one-off’, and lawful duties rendered under other statutes, are excluded from the purview of CSR. Hence, what this means is that the codification of the CSR provisions in the Act and the Rules prescribes a Comply or Explain mechanism. The spending of two percent of the average net profit is not mandatory, but reporting about it is mandated. The failure to spend the required amount can easily be explained in its financial statements. No specific provision exists for the punishment for failure to spend the required amount under section 135(5). However, two kinds of punishments are prescribed for non-compliance of reporting provisions under section 134(8): for the company (limited to a fine between ₹50,000 and ₹25 lakh) and for its officers (imprisonment up to three years, fine between ₹50,000 and ₹5 lakh, or both). Under section 441 of the Act, the National Company Law Tribunal (NCLT) enjoys the power of compounding those offenses which are punishable with only fines before or after the initiation of prosecution. This implies that the company itself can be waived off its liability for failure to comply with the reporting provisions only to a limited extent – even this mitigation would be conditional only on whether the ordinary financial practices of the firm meet the required standards of law. However, its officers would continue to remain personally liable for non-compliance. In doing so, the legislation aims at enforcing compliance of such provisions by encouraging sound and transparent financial policies and discouraging ambiguity. Throughout the years, it has been the large business firms which have taken the lead in trying to do their bit and thus enhance their goodwill in society by being socially responsible and behave in a manner that satisfies their expectations. The current provision of law possibly aims at universalizing this ethical behavior. However, with its set fiscal criteria, the law seeks to be applicable to those big firms only while the Small and Medium Enterprises retain their discretion in deciding terms of social behavior. That being said, the very mandatory and compulsive nature of the section has come under scrutiny from India Inc. It could well have rendered prone to contradiction the very concept, essence, and nature of CSR and community service. If such responsibilities are to be fulfilled under such legal pressure, it could result in there being no difference between the regular contracts entered by a company and its CSR-related programmes (since both would be regulated by law). This might just undo the good efforts taken by these bigger firms, possibly even serving as a deterrent towards the greater public good. It has also been said that the section poses an inherent challenge to economic freedom. In trying to address the ignorance or negligence of companies towards giving back to society, it seems as if the legislation ignores several market-related pressures and factors that result in low CSR projects across the nation. In that sense, it could raise apprehensions over the ‘liberal’ state of the Indian economic environment. It has not been much time since the new provisions entered into force. In its first few years, a number of matters have come up before the NCLT with regard to these provisions, where it has taken note of certain lacuna in the law while compounding certain offenses for the company. The above findings were also considered and upheld in the matter of M/s. Eversmile Construction Co. Pvt. Ltd.¸ while compounding the fine in a similar instance. The existence of too many circulars and notifications has led to a situation of overregulation in a matter fairly simple (and previously voluntary) as Corporate Social Responsibility. Moreover, there are other challenges which companies would have to tackle with respect to the quantification of the amount spent by a company. Since a company could fall under the scope of section 135 on the basis of its net worth/turnover too, it remains to be seen how a loss-making firm would be able to spare funds for CSR, without the erosion of its share capital (especially in cases of inadequate reserves). Another grey area would be with respect to the status of surpluses earned as a result of CSR initiatives. Since they involve both outflows as well as major inflows of funds as well, this might lead to a situation where non-operating surpluses could well be ploughed back for business purposes without any disclosures, thereby remaining out of the tax net. Both the Act and the Rules are silent on this matter. Ambiguities such as these lead many scholars to also doubt whether the law could possibly reduce CSR to just another ‘tick the box’ compliance. The ‘cooking up’ of balance sheets could become a fad in this aspect of accounting too, where companies find ways to discount the spendings on CSR in their accounting practices, despite having the capability to do so. Corporate Social Responsibility is a way of getting companies to honor the expectations of the very society that provide it with the means to conduct business operations in a fruitful manner. The legislation and subsequent rules enacted, though good in intent, suffer from certain shortcomings that could have widespread implications for the CSR scene in India. If a society is to hold businesses accountable in a quid pro quo fashion (which is how CSR works), then conditions must be made ambient for businesses to fulfill these responsibilities willingly, with a sense of incentive and initiative for the same.